This story airs on Great Day Houston on September 2, 2015. All the details about the products shown are provided below the video clip. Thanks for watching! I try a lot of products for myself and for my clients, so I have good recommendations when people need something.Here are some of my favorites…they were developed for athletes and work for general use too. Skindels is foot-shaped anti-microbial tape that sticks to the bottom of your feet to keep them clean in typical bare-foot situations. It’s germy and dirty to walk barefoot through airport security screening, gym showers, or pilates class. Now there’s a way to manage that and keep your feet clean. As a kid, I used to use contact paper on the soles of my bare feet. After five minutes it would start to peel off and flap around. This is a way better solution. Many of my clients are moving to more natural products because they have alergies and sensitivities. This balm soothes and relaxes muscles without the sting, stink or synthetic ingredients. 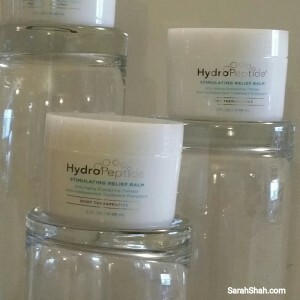 It has a coconut oil base with essential oils and natural extracts and is gluten free. 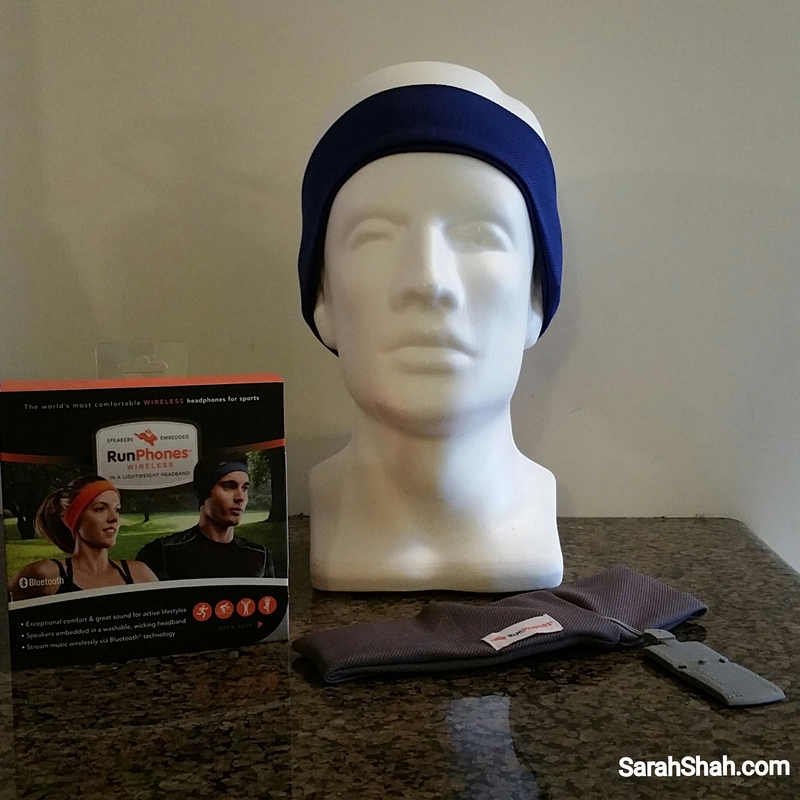 It was created to help athletes warm up and recover from their workouts faster. It also sooths skin and muscles, especially if you’re on your feet a lot. This stuff works! 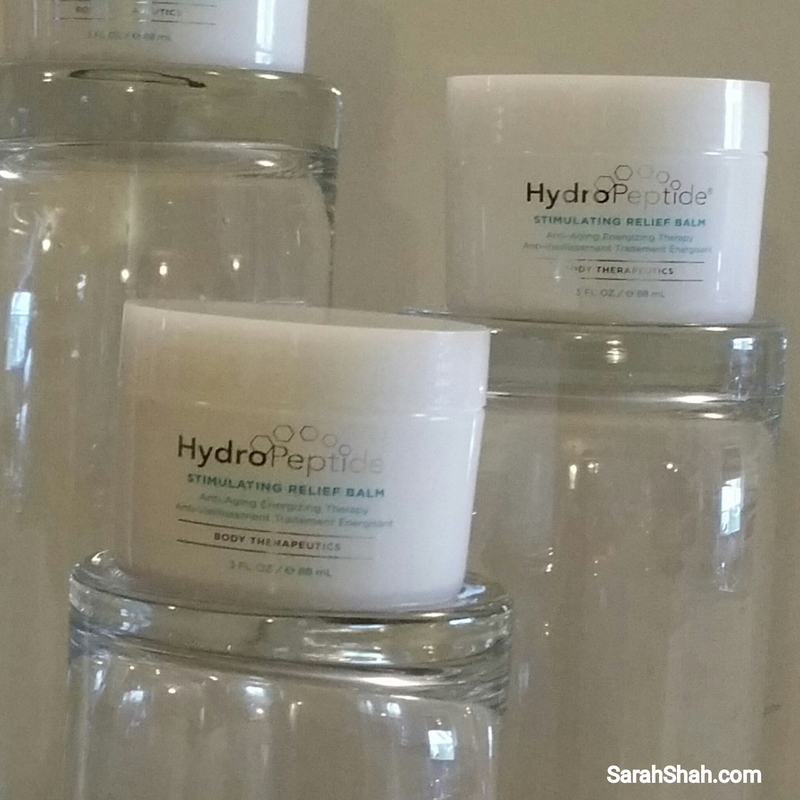 Natural ingredients are finding their way into main-stream products too. 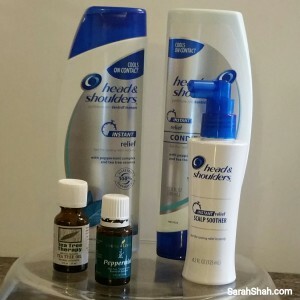 Head & Shoulders has a collection with pepermint and tea tree. These elements are known for their anti-bacterial, anti-fungal, anti-viral, anti-parasitic and anti-inflamatory properties. If you or your kids wear hats or helmets a lot, heat and sweat can build up and make your head itchy. That heat, humidity and darkness under a hat is the perfect environment for scalp fungus to grow. There’s even a term for it “hat itch.” Mr. Shah has been using this under his helmet and it keeps his head calm and cool. Most fitness gloves are really utilitarian. Damari Rubio is a Houston glove designer and she’s made some really cute fitness gloves. 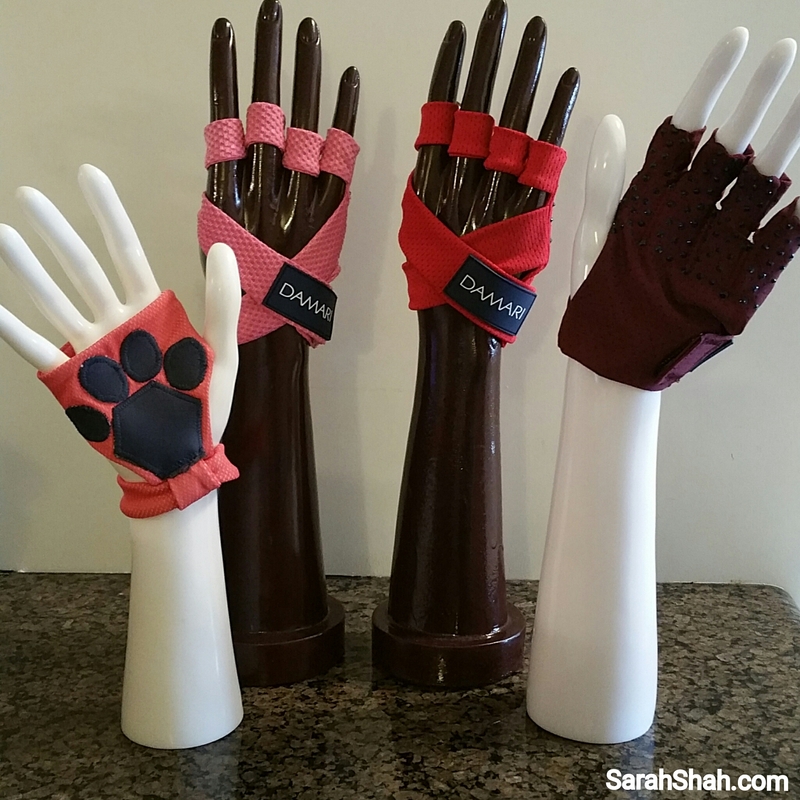 Her unique design puts the padding where you need it, keeps the gloves secure and allows for lots of air circulation! And they come in lots of pretty colors. These wireless headphone speakers are concealed in a headband. They are safer than earbuds because you you can hear ambient noise while you are listening to your music, so you’ll hear traffic if you are running or biking outdoors. The headband is more secure than headhones so the speakers really stay on. These are also great for traveling on a plane and even sleeping. Mr. Shah has been wearing these for a couple years…we both sleep better because he he can listen to what he wants and I can listen to silence! Socks, who cares? 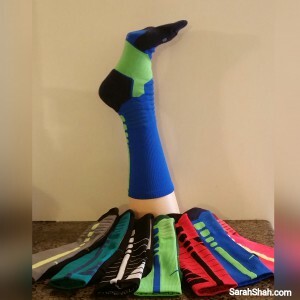 My friend Phillip found these Nike Elite Basketball socks…he really liked them for playing basketball and found that his feet, knees and back felt much better afterwards. Then he started wearing them to the office everyday…they make a big difference in how his body feels at the end of the day. The socks have extra cushioning in the heel, ball of the foot and on top of the foot, under the shoe laces. This gives more shock absorption to relieve bones and joints. It also reduces friction between your feet and shoes. They also have extra ribbing for arch support. And the compression fabric improves circulation. All that in a sock… they make a great hostess gift! The Hottest Thing In Workout Wear – The Athletic Skirt!